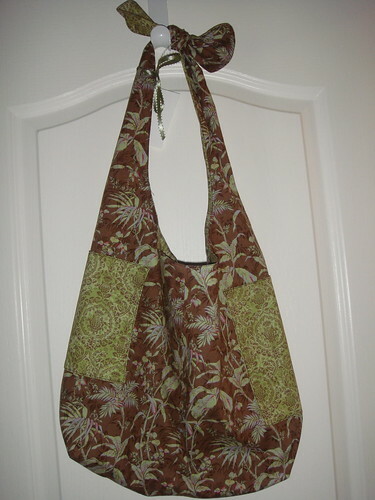 Current sewing/craft projects and favorites from my "attic." I never seemed to find the time in November to make an intricate Advent Calendar. 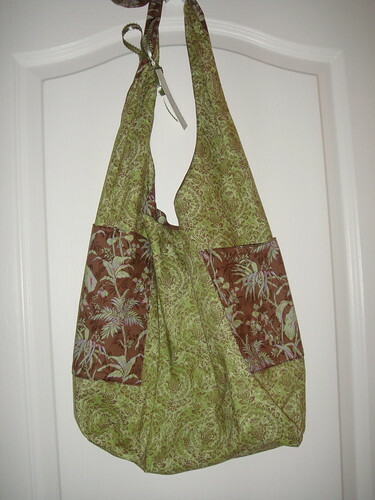 My oldest daughter, Judi, made one of these when she was in Girl Scouts, and I used it for years with my five children. I've revived it for the grandchildren throughout the years. This year, I had lost the text, but, voila, I found it on the Internet. Is there anything you can't find there? 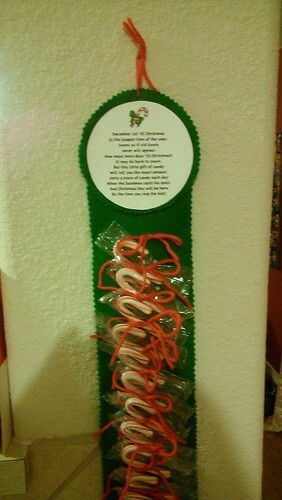 The children take turns removing the candy canes, in order of age. 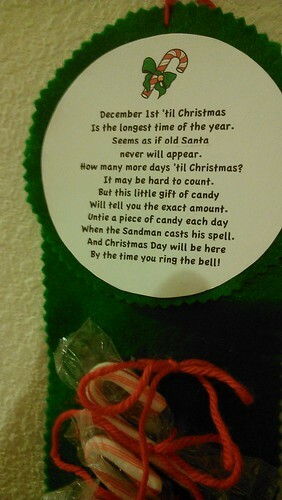 It's not only an Advent Calendar...it's a lesson in math and manners too! since I've been on here. And it's not because I haven't been sewing. With a heavy travel schedule in the spring and summer for family events, I have simply neglected my blog. I realized I need to catch up so that I can start posting this year's Christmas projects. My son, Rob, in New Orleans, was one of my biggest clients, and the most challenging, this year. 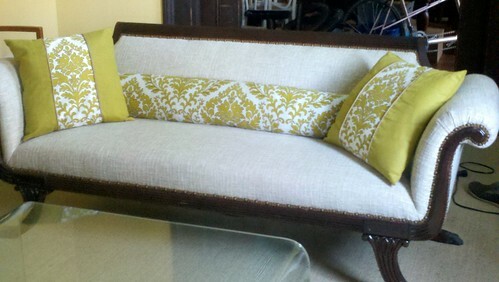 After having a sofa reupholstered, he asked me to make a bolster and throw pillows for it. With sewing machine in the trunk, my husband and I made a trip there at the first of the year. Rob and I scoured fabric shops and he selected this fabric. At first, I was a little dubious, but then, I fell in love with it. 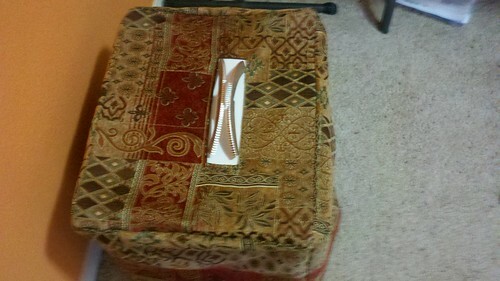 I browsed numerous blogs and pictures of bolsters before actually cutting the fabric. 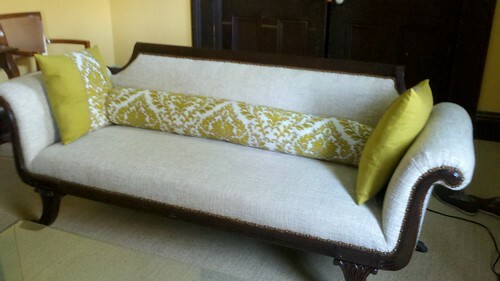 However, I ended up mostly winging it, as he wanted a larger bolster than most of those I saw. The biggest hurdle was the rounded ends encircled by the braid. Tough sewing on a small sewing machine. Thank goodness for strong glue to seal off the ends. Although I had only bargained for the bolster/pillows on this trip, Rob also asked for lace panels for his floor-to-ceiling, typical New Orleans style windows. I had made silk curtains for those several years ago. Piece of cake compared to a bolster! A couple of months later, Rob requested a speaker cozy. I have made speaker cozies for him before. The two were a pair and rather large. 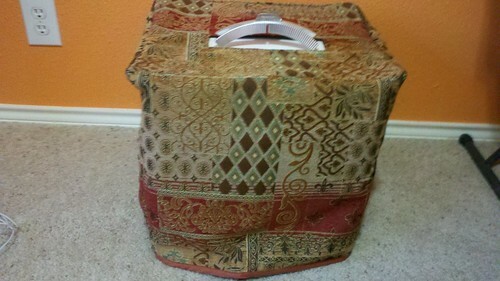 Rob requested quilted fabric and a zipper on three sides. They were sort of like two big boxes. This one was easier...only four sides and a top. However, the measurements had to be precise to allow for the handle on the top. I found an upholstery fabric with a fleur-de-lys design, which seemed appropriate. I'm always nervous when sewing a project off site, but the measurements worked. Other than dying eggs, I've never been dedicated to decorative Easter items. However, when I saw these Marshmallow Bunnies, I couldn't resist. Conservatively, I only cut out one and I was glad. Sewing the loop around the bunny and keeping the proportions of the body and ears was harder than I anticipated. Having conquered one, however, I will probably cut out more and get a head start for next year. 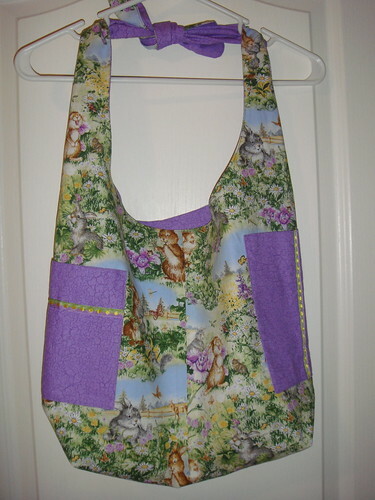 I used Minky fabric that was leftover from a quilt backing. 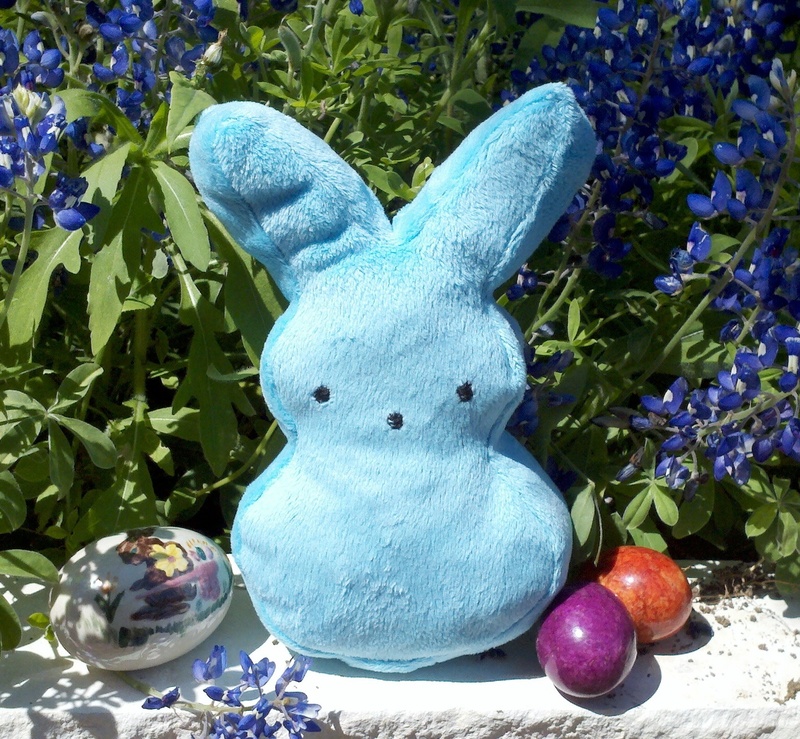 It really does look like a Bunny Peep, don't you think? I love working with soft and cuddly flannel. When my long-legged daughter and granddaughter mentioned that it was impossible to find flannel P.J. pants that were long enough, I was happy to oblige. While tall, they are both also slim, so I added approximately five inches to an XS pattern. Here's my two favorites so far! I am blessed with 14 grandchildren and one great-grandchild. My oldest granddaughter is 27 and the youngest grandchild is 2. In between, there's a wide range of ages. When I walk into Gymboree and the salesperson asks what size I'm looking for, I usually respond, "All of them." I've begun to recycle gift ideas from the oldest to the youngest. 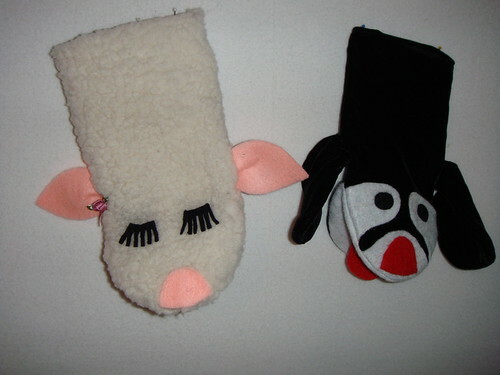 This year, it was Hand Puppets, including my knock-off of Lamb Chop and a velvety Puppy. Another of my favorites is a Dragon. With these puppets, your imagination can know no bounds. 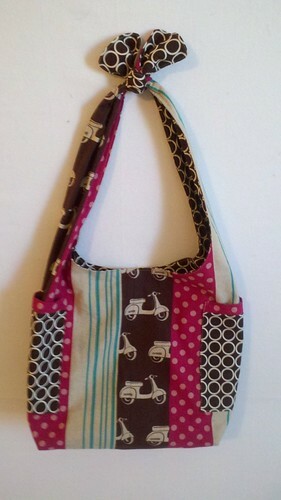 One of my favorite quick gifts is this Lickety Split Bag made by Rae. 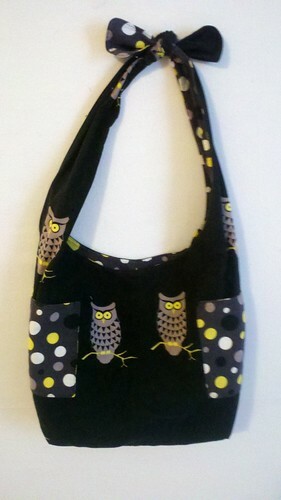 I have made several for gifts and two for myself (the Owl and the Echino print). They are made from 2 yards of fabric; one for the outside and one for the lining. 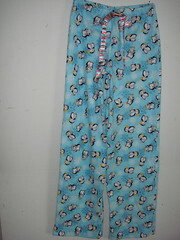 They are reversible and have two pockets on the inside and two on the outside. I always have one with me when I'm off to the airport. It's handy for all the little things such as phone, camera, Kindle, snacks, etc. Somehow, it always seems as twice as heavy when I reach my destination. Did I mention it's also handy for the airport shop purchases? I have to confess. I'm an airport shop junkie. It's also handy for books or as a diaper bag. Just two weeks before Christmas, I retrieved a week for sewing when a trip to visit my son in New Orleans was cancelled. Happily, he was being sent to England and Sweden on a business trip. I used Elizabeth Hartman's pdf pattern for the Perfect Zip Bags and made coordinating tissue holders. Elizabeth's technique for the zipper resulted in an easy, but professional looking finish. I'll definitely use it again. 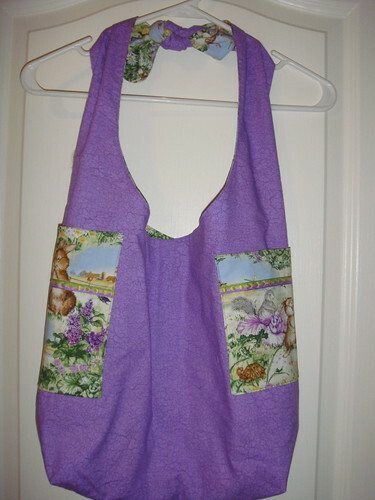 My first serious sewing was geared towards children's clothes and budget drapes and accessories for the home. When my grandchildren arrived, I expanded to costumes. The culmination of this experience was a Willy Wonka Edwardian jacket that my grandson wore to his Senior Prom. Recently, I discovered quilting. While I've made two baby quilts and prepared one queen-size top for quilting, I prefer smaller projects. Here you'll find some of my recent efforts interspersed with favorites from "my attic."